Google Analytics for WordPress is a powerful way to learn about how your customers and potential customers interact with your site. It may seem a little confusing on the Google Analytics install help page, but this video will certainly help to simplify the process for you. In this video, you will learn how to use Google analytics for your WordPress site. Learning how to add Google Analytics to WordPress is a very important part of running your own website. The software can give you valuable information about what is and isn’t working on your site and lets you make informed decisions about its future. 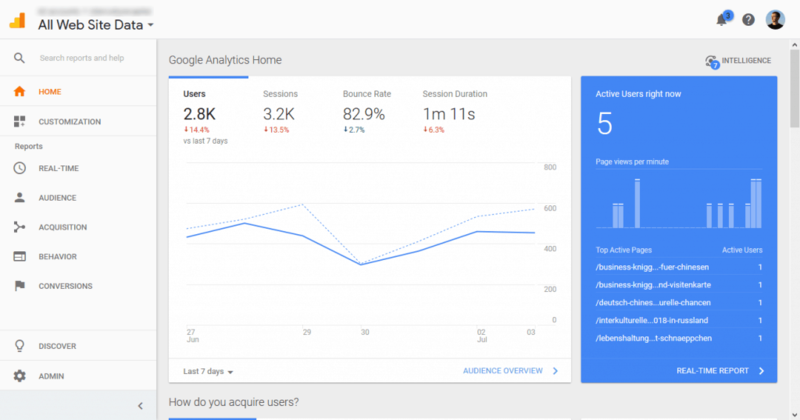 What is Google Analytics and Why Do You Need It? How to Sign Up to Google Analytics? How to Install Google Analytics with a WordPress Plugin? Before getting into the technical stuff, let’s first talk about the subject matter of this post – Google Analytics. If you’re a complete newbie, you might not even be aware of what it is and why it’s a good idea to connect it to your WordPress website. So, let’s cover that first. Google Analytics is a web analytics suite that helps you understand and analyze your website visitors and users. It’s present on over 50 million websites around the world. Who is visiting your site? — Geographical and technical information about where your audience is from and the devices they use to access your site. What do your visitors do? — Find out which pages they look at, your bounce rate (meaning the share of visitors who leave after just one page), how long they stay on your site and more. When are they coming by? — Google Analytics also shows you when exactly people come to your site by the hour, day, week or month. How do they find your site? — You also get information about whether your audience finds your site in search engines (and which of them), social media, links on other websites or if they enter your site address directly. How do they interact with your content? — From Google Analytics you are also able to understand how people interact with your WordPress site, for example, the links they click on. If you define certain goals (like converting visitors to email subscribers) you can also track that. What can you do with this information? How is that useful to you? Knowing the above allows you to do many things. Adjust your site to serve your audience better. For example, by improving technical aspects or adding a language. Optimize traffic sources – invest more in those that work particularly well or ramp up your efforts on those that don’t. Improve your content and content strategy to give visitors more of what they are interested in. Track marketing campaigns and see if they are working. Find your worst-performing pages and take steps to make them better. In short – web analytics allow you to eliminate guesswork and make decisions about your site based on facts and hard data instead of gut feeling. Google Analytics is completely free to use, so it doesn’t contribute to website costs. Before adding it to your WordPress site, we first need to talk about some caveats. Audit your site — One of the most important things is to make sure you don’t accidentally send personal identifiable information (PII) to Google Analytics. These are email addresses, home addresses, birth dates – anything that can be used to personally identify a user. More info about that topic here. Turn on IP anonymization — Under the new law, an IP address is also considered PII. To be on the safe side, you can switch on IP anonymization in Google Analytics. Find instructions on how to do that in this post. Implement GDPR-compliant cookie consent — For all the non-strict necessary cookies, you need to get consent before the cookie is set in the user browser. It must include clear information about what the cookie is for, users must still be able to use your site even if they opt out, they must have access to the cookie settings and you need documentation that they accepted it. There is a number of plugins for this in the WordPress directory. For more general information on GDPR and what it means for the website owners, check out this article and this one. Now that we have this out of the way, we can finally get to the main part of this post.